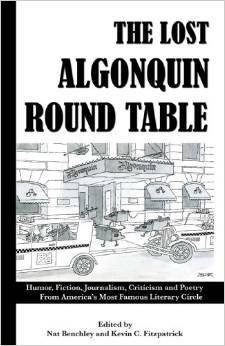 The Lost Algonquin Round Table: Humor, Fiction, Journalism, Criticism and Poetry From America’s Most Famous Literary Circle contains 50 pieces written by the legendary group of writers and critics that met at New York City’s Algonquin Hotel in the 1920s. This new collection presents, for the first time, many pieces from family collections and long-lost periodicals. Unearthed from dusty bookcases, public troves and dark recesses is a rich compendium of the writings that made the group famous. * Humor pieces by Robert Benchley, Franklin P. Adams, Heywood Broun, Frank Sullivan, and Donald Ogden Stewart. * Criticism from Dorothy Parker, George S. Kaufman, and Robert E. Sherwood. * Short fiction by Laurence Stallings and Pulitzer Prize-winners Edna Ferber and Margaret Leech. * Journalism from Alexander Woollcott, Ruth Hale, and Deems Taylor. * Poetry by Adams, Marc Connelly, Dorothy Parker, and John V. A. Weaver.